You’ve likely heard that you should be eating salads and taking walks, but how much of a difference can it really make? Quite a bit, according to recently released research. 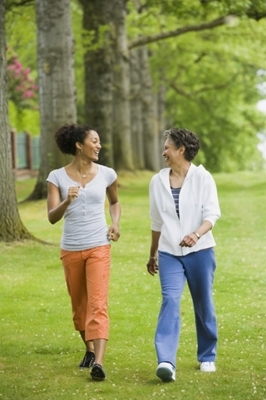 The largest coordinated study of women’s health confirms the benefits of healthy living. Postmenopausal women who followed the American Cancer Society recommendations on eating and exercising had a 30 percent lower risk of dying during the eight-year study. They also had a 22 percent lower chance of breast cancer and a 52 percent lower risk of colorectal cancer. Researchers looked at data collected on 65,838 women age 50 to 79 through the Women’s Health Initiative launched by the US National Institutes of Health. The study followed the women over an average 8.3 years. “The message is simple and clear: If you want to reduce your risk for cancer, even later in life, eat a healthy diet, be active daily, avoid or limit alcohol and don’t smoke,” said researcher Cynthia Thomson, University of Arizona professor of public health. Eat a healthy diet with an emphasis on plant foods.